Well work & life definitely got in the way of the Certificate IV Millinery course especially towards the end of the year and -Big Sigh - I've basically flunked out. Am trying to look at it as a Lesson that - You Can Make Too Many Compromises! 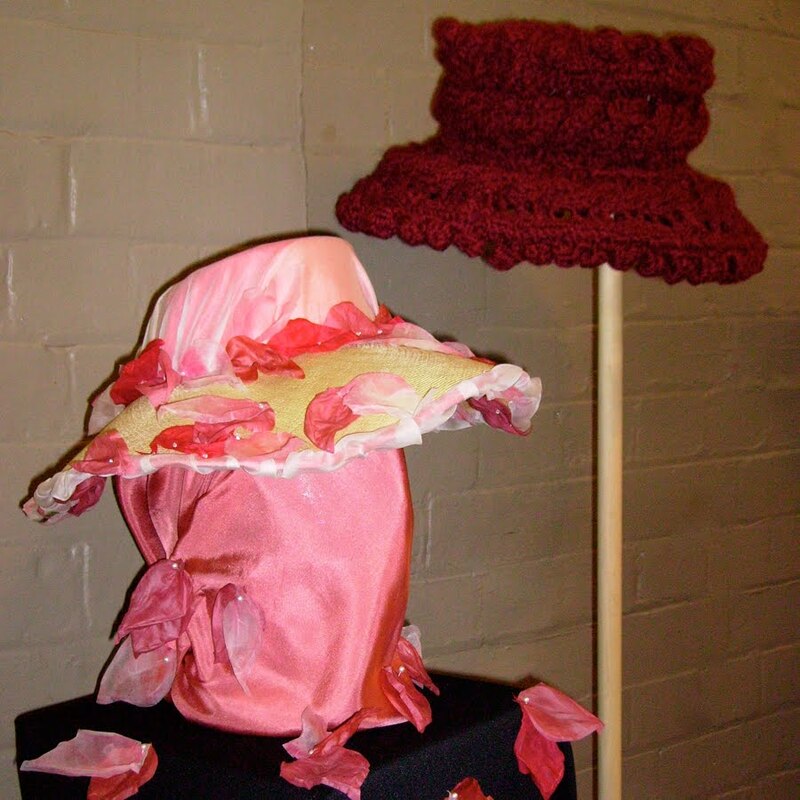 However, I do have 2 hats in the end-of-year exhibition - and they are hats that I'm proud of. The wire-work covered in red chunky knitting I've blogged about before and here it is with my be-Petalled Silk & Straw hat. The Exhibition is at The Muse at Ultimo TAFE college - lots of lovely hats and some hand-made shoes too. Still here and still making things!